Youngsters across Bolsover District are getting new job and career opportunities on top of 150 new social houses. In partnership with Robert Woodhead Ltd, Bolsover District Council is running the four year B@Home Framework offering work placements, traineeships and apprenticeships for local people alongside using local businesses as sub-contractors and suppliers for the construction work. 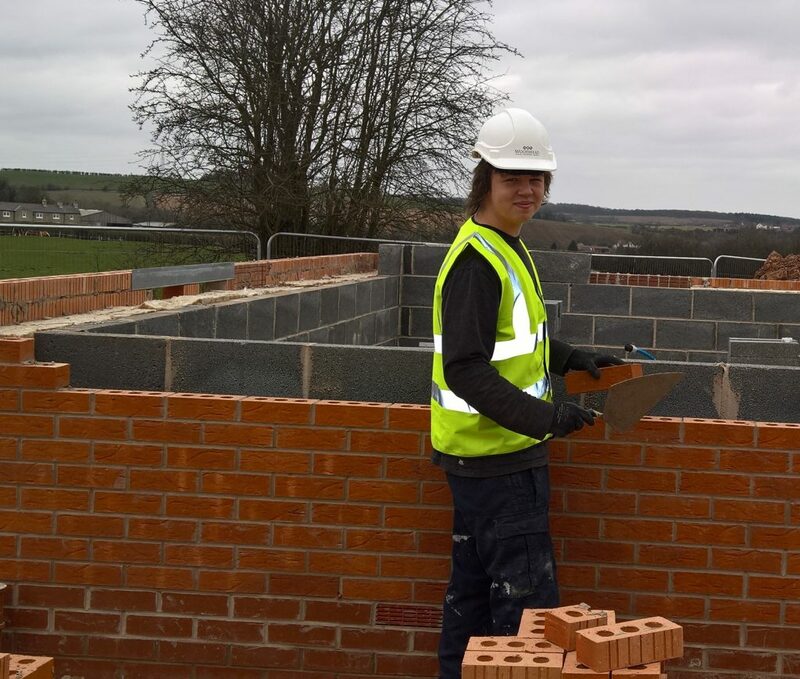 Ryan Suter (Pictured), studying plastering at the Chameleon Construction College, was the first to take up a work placement and said, “I’ve been working with the joiners and bricklayers – setting out the build and decking. It’s easier to learn through the practical experience than just reading about it. Now I know how a building site works and I’m thinking about learning bricklaying too.” He is already planning an apprenticeship when he leaves college. You can contact Matt for more information about the B@Home project on 01623 821518. This project is funded by Bolsover District Council and the Bolsover Partnership.